Parents routinely believe the greatest gift they can give their child is a sibling to grow up with. This thought can be quickly shattered when these same children erupt and attack each other physically or verbally. Wading into sibling conflict can feel like tricky territory. On one hand, a parent will feel propelled to protect a child who is under attack, but what is there to be done with your other child who is also full of frustration? Most importantly, how can adults lead through incidents while at the same time preserving their relationship with each child? 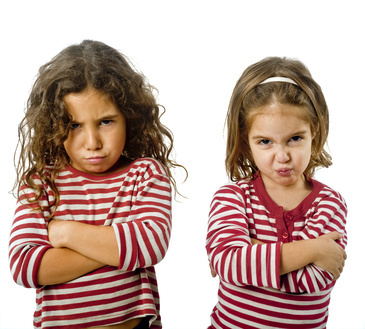 Sibling conflict is an area parents long for quick fixes. In reality, it is maturity that should provide the ultimate answer to their uncivilized ways of relating with each other but until then, we are going to have to take the lead. There are a few things to keep in mind as you try to take charge when kids are struggling with each other. It is important to try and control the circumstances around the kids and not to try to control an out of control child. If they need to separate from each other, try to do it in a non-shaming way such as, “we need to take a break,” or “I am going to help you find something else to do because this is not working out right now.” You may also decide to address the problem between them at a time when they can emotionally hear you. For kids it can also be a source of wounding when they see their adults fail to jump in to intervene in difficult situations with their siblings. Adults need to be counted on as protectors and guides so if they let a child down this way continuously, the relationship with their adult can suffer. In order to protect your relationship with both kids, it is best not to play the role of judge and jury. If the focus on intervening is about fairness and understanding who is to blame, at some point one child will feel you are being less loyal to them and the incident will quickly transform into a relational one with you. When you focus on helping kids understand the emotions that drove them to act immature, then you are better positioned to help them act differently the next time. It is emotion that drives behaviour and that is where we want to do our work. In order to hold onto more than one child at the same time, it is also important to bridge the problem behaviour and convey a desire to be with each child despite conduct. If it is necessary to talk to each child later, after the incident, it may be best to do this one on one rather than together. While kids may act mature, the stronger your relationship with them, the more you can influence them to act differently the next time they are having problems. In debriefing incidents you can solicit their good intentions by asking them to, “call me when you need help,” or “share your toys and take turns,” or “use your words to communicate.” While they may still lose their good intentions in the heat of the moment, it does pave the way for them to consider how they can act differently and reiterates your expectations. It also helps to keep in mind that when kids are emotionally overloaded, they know much better than they can behave (this goes for adults too). Emotional maturity takes time and patience. We need to keep our relationship with our kids strong so they can continue to mature and be guided by us. When kids struggle with each another it may be helpful to consider the overall structure they are operating under as well as imposing some routine. For example, if young kids are left alone, it is likely they will engage in territorial battles over toys or people. This is the same for poorly supervised playgrounds and school recesses. An important part of a child’s environment and structure should involve supervision by adults who can step in and provide guidance for their interactions. For older kids it might involve being in earshot so as to counter inappropriate ways of relating. In terms of routine, when things are left open to interpretation, there is more leeway to fight over how things should be done. If you have specific routines in place such as who goes first, and how you rotate this between kids, to how you will share things, there is less that is up for grabs. 5. Strengthen the relationship between siblings through matchmaking. To cultivate a stronger attachment between siblings, it is helpful to play matchmaker by pointing out their similarities and areas of sameness. To activate their instincts of belonging and loyalty, get them working together on something or playing and having fun with you. It is also helpful to enlist the older child to take on a ‘big sibling’ role and point them towards helping their sibling. When a child is in the position of helper, it will move them out of competing and into the position of caring. If there seems to be an increasing level or high amount of foul frustration directed at a sibling, or back and forth between them, then it may be important to consider the source of what is not working. Frustration is often displaced onto siblings and is not necessarily directed at the people or situations that provoked these feelings in the first place. Consider what relationships in their world are not working well for them. Are they missing a parent who is away, sick, travelling, or due to a divorce or separation? Are they having trouble with their peers at school or a teacher? Are there places they want to belong but are left out or feeling rejected in? Are they struggling with school work or some other frustration filled event? If they don’t talk about their daily frustration with you then perhaps strengthening your relationship might help draw them closer so they will. When a child is full of attacking energy it is important not to lose our intuition about the frustration that is driving it. Consider whether they still have a soft heart and their tears. In other words, do you see signs of caring as well as a child being moved to sadness with certain people or under specific situations? If these softer feelings are reduced or disappearing, this may be from increasing emotional inhibition due to being overloaded and hurt. In this situation, it would be important to use structure and routine, as well as supervision to prevent wounding to the child as well as others, while at the same time working to reduce their overload by building a stronger relationship with them. When the caring returns, a child will be less likely to erupt with acts of foul frustration. The only way to truly avoid sibling conflict is to only have one child. Conflict is something that comes with the territory of taking care of more than one immature being at a time. Conflict is also part of human relationships as we navigate having different feelings and needs from each other. We need to lead through conflict, preserve our relationship with each child, and help them understand the emotions that drive them. We need to preserve order, point them towards a more civilized form of relating and be patient until maturity delivers, with our help, an emotionally mature, reflective, independent, and tempered individual. Until that time – kids will get frustrated and we will need to lead them through it. Dr. Deborah MacNamara is on Faculty at the Neufeld Institute, the author of the best-selling book, Rest, Play, Grow: Making Sense of Preschoolers (or anyone who acts like one), and is the Director of the Kid’s Best, Bet Counselling and Family Resource Centre.